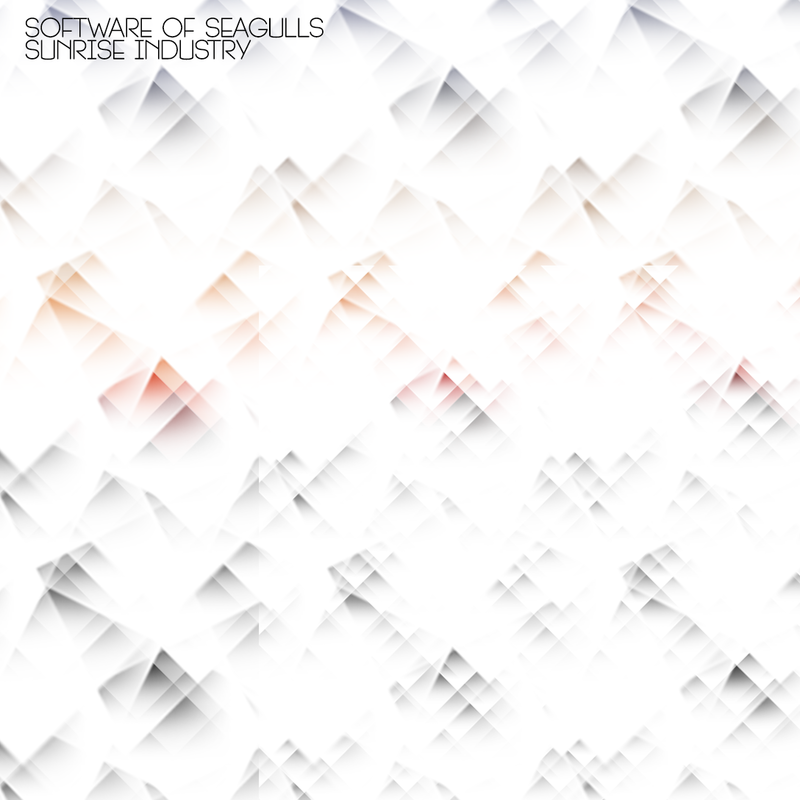 Software of Seagulls is the electronic alter ego of composer Chris Perren (Mr. Maps, Nonsemble). The debut album, Sunrise Industry is the culmination of four years of gathering, slicing, and assembling recorded improvisations, audio ephemera, and found sound. Though it is undeniably electronic, it is a kaleidoscope of acoustic sound, fracturing the organic grain and texture of recorded sound into a structured digital collage. The sound of the record owes much to the mid-2000s folktronica cohort – The Books, Manitoba, Tunng, FourTet – whilst the compositions themselves reveal a fascination with the bright sonorities of modern post-minimalism and math-rock. The project began as an experiment into sonic media, whilst Perren was undertaking a PhD in music composition. The compositions carry the residue of their medium – tape, vinyl, VHS, digital – the physical idiosyncrasies are foregrounded in the final product. Tracks such as Carve Silence into Me achieve this through abuse, saturating tape and analogue circuits to produce rich distortions unattainable in digital media. Others, such as the closing track Sunset Industry foreground the coldness of the modern studio, splicing recordings together with stark digital incisions. Sunrise Industry is a highly unified record, with each track exploring the same sound world in a unique way. The sophistication of the compositions befits Perren’s high level of formal composition training, without losing the childlike fascination and joyful curiosity of sonic exploration. It is a strong debut LP that will reward repeat listens.